My trip around the world – on the 5th of November of 2014 I started my trip! I was working on it for five years: an eight months trip with a Round the World Ticket. 28th of January São Paulo – Washington D.C.
Apart from this I wanted to travel as spontaneously as possible. After so many years in Germany where everything was super structured, I wanted to wake up and just decide then what to do! I was planning to work and earn some money translating and blogging. And that worked out well! Do you know my book „My Trip Around the World – A Dream Come True“? If you like my blog, you will love this book. Have a look inside on Amazon! 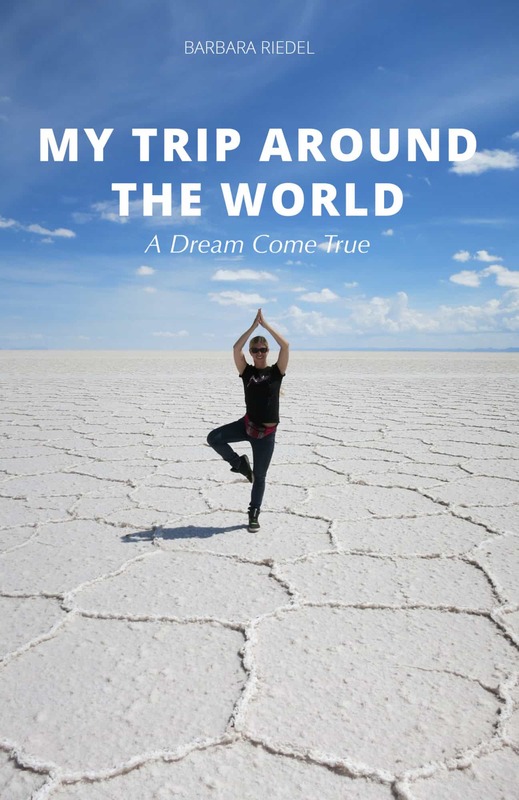 „My Trip Around the World – A Dream Come True“ is about the ups and downs of my world trip. I had been collecting air miles for 5 years in order to get a round the world ticket. This enabled me to travel to 13 countries on 4 continents with countless cities. This book is for all the globetrotters, travel enthusiasts and everybody, who wants to join me on my trip around the world. My world trip started on the 5th of November 2014. However, the story behind the story began much earlier. On which day exactly I can’t remember but it was about two weeks before Christmas 2009. That was the year of my semester abroad, which I spent in Florence and my internship abroad which I spent in Salamanca and also the year in which I flew further than ever before. For February 2010 I had booked my very first flight to America – and thus earned quite a few miles with Miles & More. A family friend was visiting as I aired my frustration out loud: I felt certain that despite the many flights I had taken I would still not have enough miles in time to redeem them against flights. With the standard Miles & More Card collected miles expire after three years. That was the answer to a Maiden’s prayer! Can’t wait to start reading? Get the ebook now and start reading today! If you prefer the touch of a book: Get the paperback!